FRIDAY, Feb. 3, 2017 (HealthDay News) --Thirty former NFL players have joined the growing number of retired players who have pledged to donate their brains to research on a devastating brain disease that has been linked to the repetitive head trauma. "I can't imagine why anybody that played the game and that cares about the guys and the kids that are starting to play the game now, wouldn't donate," Randy Cross said in explaining his decision to donate his brain to research. Cross is a three-time Pro Bowl offensive lineman who played for the San Francisco 49ers from 1976 to 1988. "I would urge everybody that's ever played the game to do it," the College Football Hall of Famer added. "As we start to see the effects of football, we want to learn more," Springs said. "Why wouldn't I give my brain to help with the research so people can become more educated and more aware?" In 2008, the foundation created a brain bank in cooperation with Boston University and the U.S. Department of Veterans Affairs. It is now the world's largest CTE brain bank that has a particular focus on concussion, ALS and other conditions linked to brain trauma. To date, 385 brains have been donated, of more than 240 have been confirmed to have had CTE. 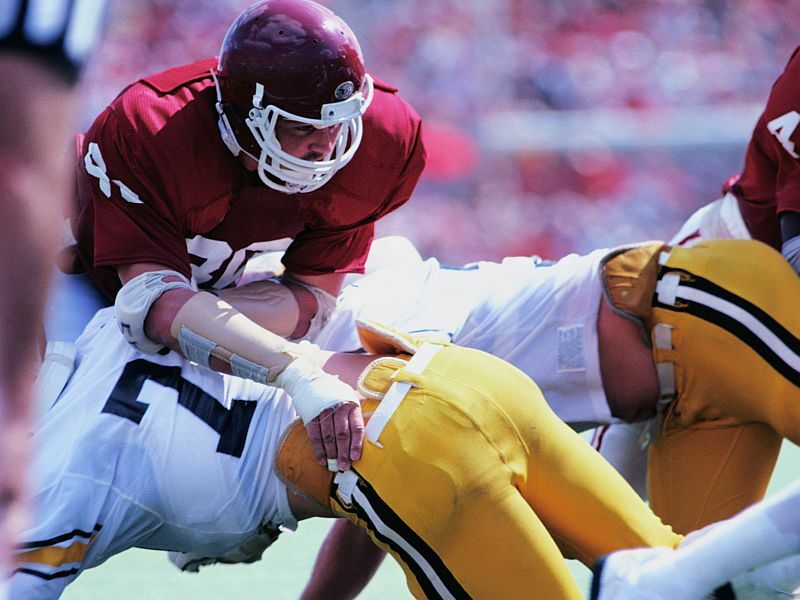 "Pledging to donate your brain is a fantastic way for current and former athletes to contribute to brain trauma research," said Chris Nowinski, co-founder and CEO of the foundation. "Brain bank research is an essential step in learning to prevent and treat CTE, and [it] has provided insights that have launched multiple studies at the Boston University CTE Center focused on developing diagnostics and therapeutics," Nowinski added.